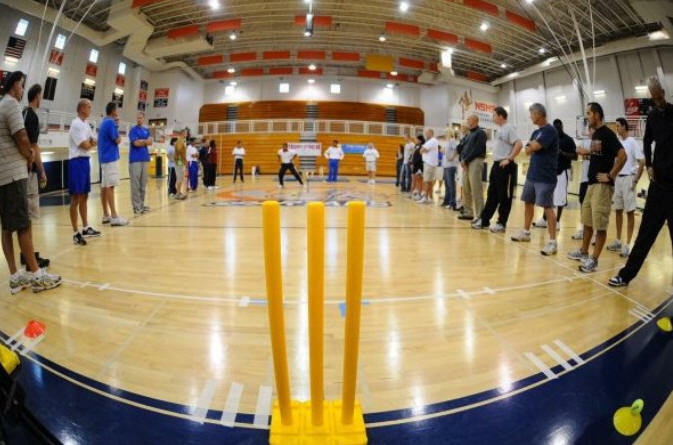 While the British origin game of cricket has become the most popular game in India and other British Commonwealth countries, it is still in its infancy in America. Over the last one decade cricket has made some inroads amongst the American school and college going students. 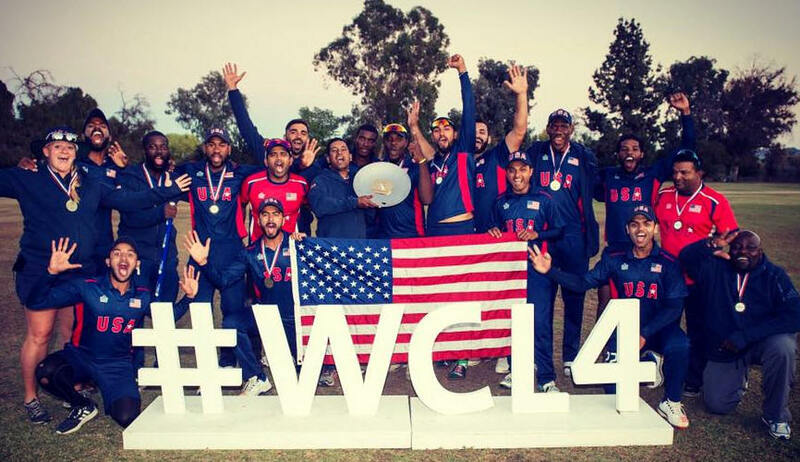 Though most young players are of the Indian/Pakistani/West Indies origin, cricket is slowly gaining ground and getting popular among the main stream American students. In 2017, over 200,000 people play cricket in 6,000 teams. As per the ICC & International Olympic Committee (IOC), there is a very good chance of Cricket being re-introduced in the 2024 Paris or 2028 LA Olympics. 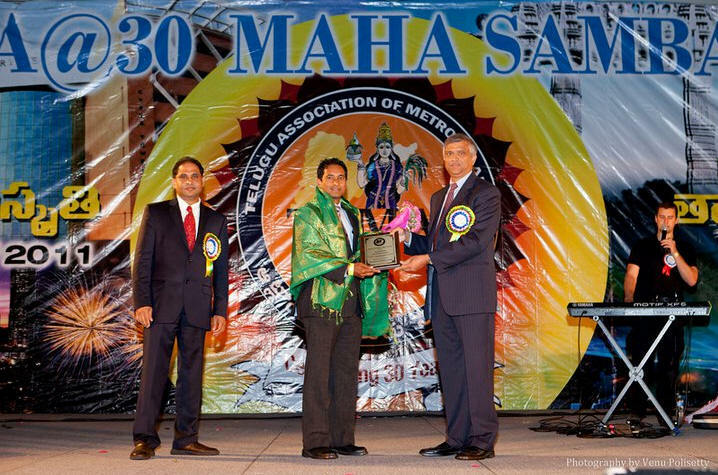 Among the cricketers and coaches responsible for creating awareness and spreading popularity of cricket in America is Anand Tummala (also known as T. Anand). 39 year old Anand was born in Vuyyuru, Andhra Pradesh, India. His family moved to Delhi in 1981-82. His father, who worked for Indian Government was an avid cricket fan. One day he took Anand to watch a Wills Trophy match between Mumbai and Rest of India at the Ferozshah Kotla Ground where he saw Ravi Shastri in action and that ignited his interest in cricket. In 1987, Anand’s family moved to a house opposite to Jawahar Lal Nehru Stadium in Delhi and Anand began attending regular cricket sessions at the Stadium from 1991-92 onwards. Anand completed his schooling from Sardar Patel Vidyala and went to St. Stephen’s College in Delhi where he got his Bachelor’s Degree. During his school and college years, Anand, a top /middle order batsman and a medium pace bowler gradually gained recognition and played for Delhi U-19s during 1996-98, Delhi University and North Zone Universities 1999-2000 and also Ranji Trophy for Delhi in 2001-2002. 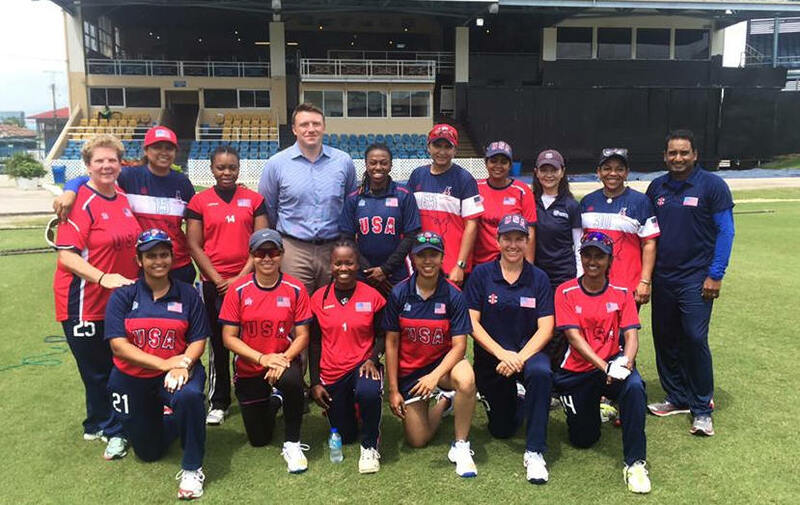 Courtesy: U.S. Embassy Trinidad and Tobago - Deputy Consular Chief Kevin Ogley, this afternoon, welcomed U.S. Women’s National cricket team to the historic Queen’s Park Oval and wished them good luck on their ICC Americas series of games in Trinidad. After being in and out of the Delhi Team, Anand began looking for greener pastures. In 2005, he decided to go for further studies in England and also play cricket there. He got into full-time M.B.A. Program in the then University of Wales, Newport (now University of South Wales). He played Premier league cricket in South Wales, U.K. Anand also got attracted to coaching. He got a scholarship and acquired his Level 1 and Level 2 Cricket Coaching Certifications from the England and Wales Cricket Board; and was appointed Coach and Captain for the University of Wales, Newport Cricket Team. He was also appointed as a Senior Coach and player for Croesyceiliog Cricket Club in South Wales Premier League, Glamorgan, U.K. Anand earned his M.B.A. from University of Wales in 2007, and moved to Atlanta. Anand got married in 2008 in Hyderabad. In Atlanta, he played for North Atlanta Cricket Club in the Atlanta Georgia Cricket Conference (AGCC). He has coached young cricket players and several teams at the national level since 2007. In Atlanta he contributes to the Atlanta Cricket Academy(ACA). He was selected to represent the US National Men’s Cricket team as an all-rounder in 2011, in the Etihad T20 Cricket Tournament hosted by Cricket Canada in King City, Ontario, against arch rivals Canada. Anand’s overall performance was rated as the best in the team on this tour with both Bat & Ball. Anand is a calm and astute coach. He commands respect because of his enthusiasm, gentle demeanor, discipline,focus and positive encouragement. In August 2016, Anand was named the Head Coach for the USA Women's Cricket Development Squad & USA Women's Cricket Team against the touring Marylebone Cricket Club (MCC) Women's team. USA Women’s Cricket Team also participated in the ICC Women’s T20 World Cup Qualifiers in Scotland, UK and performed extremely well considering the short period of time it was constituted. He is also working with the US Olympic Committee as part of the National Governing Body (NGB) Coach Education Program. 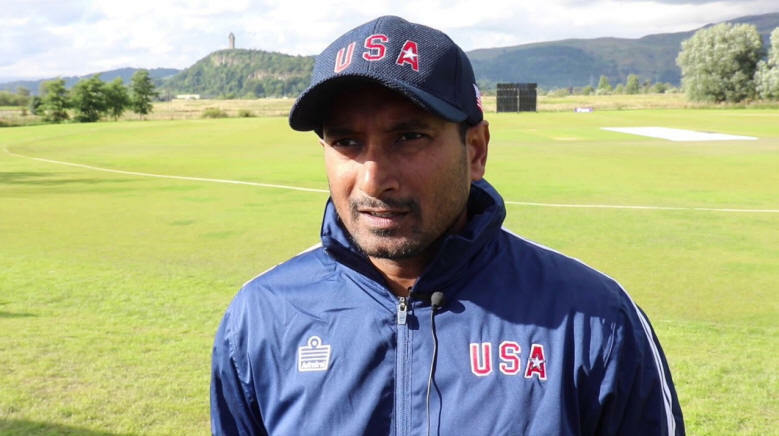 Anand was also named Assistant Coach for USA Men's Cricket Team in October 2016 in the ICC World Cricket League Division 4 Championship held in Los Angeles, with Pubudu Dassanayake as the Head Coach. 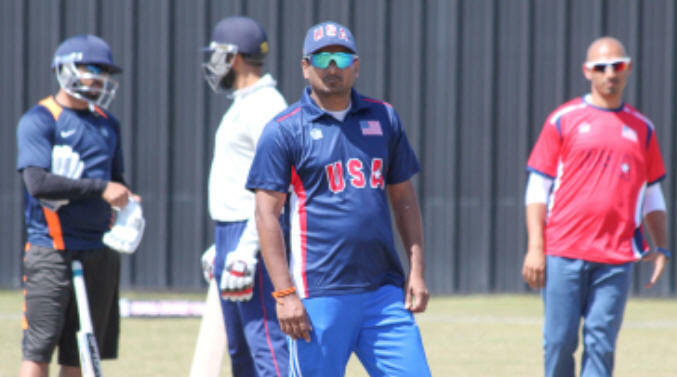 Anand’s ‘Constraint Led’ coaching methods are being implemented across the nation and have provided a unique and distinct way of grooming natural talents across youth and national team cricketers and coaches in USA. Explaining ‘Constraint led’ coaching approach/methods in Cricket, Anand said “A player is challenged and channeled to find his or her own solution to attain a set goal. Each player is different in physique; emotional/mental state, skill levels, etc. Environment, socio-cultural factors, and task constraints also impact the end result. Cricket is a game of Natural Instincts and every individual has different ability and Instincts. Everyone (cricketer or a cricket coach) have their own way of executing their respective Cricketing talent. Everyone has their own way of handling pressure. We cannot have a prescribed way of playing cricket. As coaches, we must be able to develop a player by setting the outcomes we are after, and let the player come up with his/her own way of reaching that outcome. This way we not only let the player enjoy and have fun while playing cricket, but, we also are letting the player develop his/her own technique or way of dealing with pressure and achieving the desired results. I am a firm believer that we all play sport to have fun and enjoy it. As we become more intense and desire to play higher level in Cricket, the competition level goes up, however, the fun factor must never go away. As I work with the National teams as well as the grass root level Cricketers and Coaches in the U.S.A., I feel the need to develop our Cricketers mentally, who are aware of mindfulness. The 'Constraints led' coaching techniques/methods have proven to help and develop a player's natural ability and has given the opportunity for players to discover themselves under pressure and excel. Ultimately, a player has to perform and find ways to overcome pressure/nerves/situations on his/her own in a game and that is what we want to train for at all levels of Cricket. 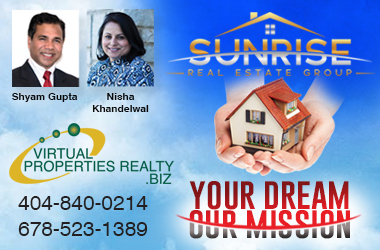 Anand is long associated with India’s iconic Cricket Captain and Legendary Spin Bowler, Mr. Bishen Singh Bedi’s cricket coaching Trust. “I have been fortunate to be associated with Bishen Sir since 2001. Bishen Bedi Cricket Coaching Trust (BBCCT) will be celebrating it's 25 years next year with Mr. Mansoor Ali Khan Pataudi being the Chief Patron. Players such as Yuvraj Singh, Rahul Sanghvi, Sunil Joshi, Murali Karthik and hundreds of First Class Cricketers have benefited from BBCCT. Every year, BBCCT conducts cricket camps for Youngsters across the country and selects a team to go for an over-seas tour (England or Australia). Several cricketers are given free facilities and are even sponsored for overseas tours with BBCCT taking care of all their expenses. I regularly attended BBCCT Camps from 2001 to 2004. I have been part of BBCCT Cricket Tours to England in 2001, 2005 & 2006 and tour of Australia in 2007.